Notification e-mails getting blocked. Base64 encoding on a From field. It is common for spammers to use Base64 encoding to try and get around any content filtering, so many spam protections block Base64 encoding as a matter of course. Is there any way to avoid this base64 encoding of the From field, as it appears to be the only thing causing problems. I will submit a ticket about the base64 encoding on the From field to see if we can do anything about it. As a worakaround, you can try our alternative sending method. You will need to add your own email to the system and verify it. Then, select that email as the Sender E-mail. 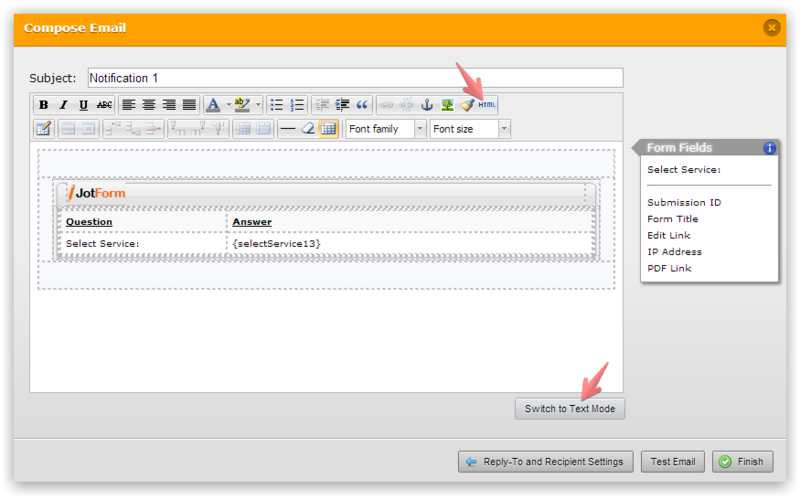 This will switch the sending method from default one (Amazon SES) to our own mail servers. We do not have the base64 encoding in emails that are being sent from our own mail servers. Ok, thank you for this workaround. Things are still being blocked, but this helped me to get closer to a solution. I don't know where in the message it's seeing the amazonses.com domain (probably the Message-ID header), but the only way we have found to allow through these messages is to whitelist amazonses.com and that isn't going to fly with our security analyst. We attempted to whitelist noreply@jotform.com, and that did not work. The only thing that worked was to whitelist "amazonses.com". This is a potential hole in our security which is not a workable solution for us. Amazon rents their services out, and allowing anything from amazonses.com will potentially open the door for a great deal more spam. Also, for some further information, we are using WebSense e-mail security on our e-mail servers. You will not see bounces of any sort as e-mails sent from you guys are currently being placed in a queue (anti-spam) which has to be manually released. This is where I am getting information about the headers, and all information about what is being blocked. We use the same base64 encoding for 'test messages' from Amazon SES, so this is strange that the tests are coming through and real messages are being blocked. 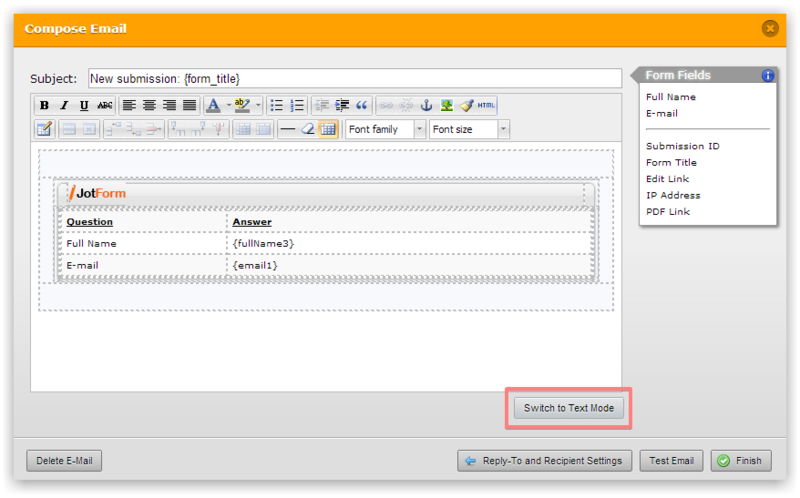 1) Switch your Email Notification to the plain text mode to see if that makes any difference. So you will be able to whitelist one domain/IP. Sorry for the delay. We have been trying to test out what makes this service work for us, and the results have not been promising. First off, I no longer think the issue is the Base64 encoding. After studying the blocking information, we now think that something in our heuristic filter sees things it doesn't like and blocks our messages from JotForm. It could very well be the information we are attempting to have customers send us, but regardless, the only thing that fixes it is to whitelist amazonses.com, and that just isn't going to work for us. Here's what we've tried. 1.We whitelisted noreply@jotmails.com. Still blocked. 2. We changed the Sender e-mail to my personal g-mail account. We have then whitelisted jotservers.com and us-app2.jotservers.com, neither of which allowed messages through to my notification e-mail address. 3. The only thing that appears to work is to whitelist amazonses.com, which is not a workable solution, as I've explained. 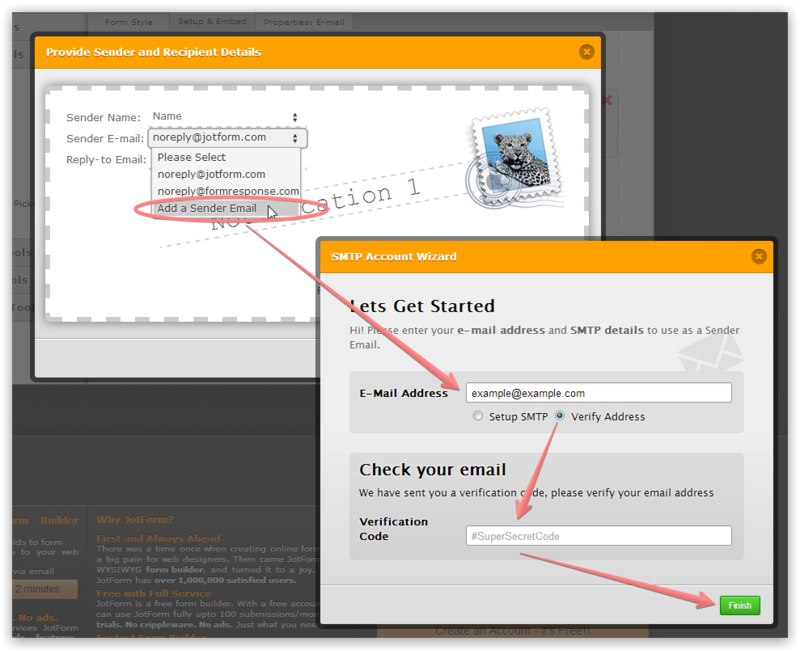 We cannot use SMTP as our mail server does not have a forward facing SMTP service. Running out of options at the moment. I am going to create a really basic form and see if something in the heuristic filter is not liking what we are sending in this e-mail. You might also run some test with changed email html body or plain text emails. However, it really might be related to the user content as the 'Test Emails' are fine on your side. However, the way our filter works is that if we can find the right domain to whitelist, it will ignore the content filtering rules. The whitelist is the first "rule" that is parsed. Plain text did not work, though I have been considering some changes to the html format. If the field labels are changed to an image file, it might be ignored by the content filter. AHA! Somehow in our whitelisting frenzy, we missed whitelisting jotmails.com, which was the magic domain. We tried to whitelist noreply@jotmails.com, but neglected to whitelist jotmails.com, as just the domain. Things appear to be working, which is a good thing. Thank you guys for your help, and sorry for this oversight.